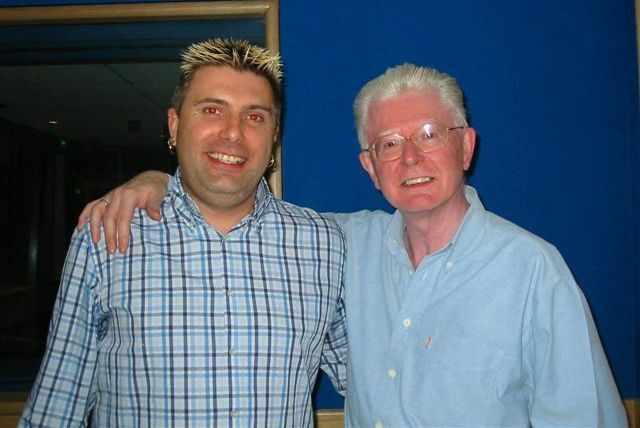 When I heard the sad news on May 11th 2002 that Patrick Fyffe had died, I was devastated. I remember exactly where I was at the time, as most of us do when we hear news of a famous person dying. I was driving along the M1 in my lorry just past Northampton Services when my friend Lyn rang me and told me she heard it on the news. I finished my shift that morning and the first thing I did when I got home was switch on my computer and whilst the 'old girl' was starting up I made a cup of coffee. I looked around the internet to see if there was anything on Hinge & Bracket and was shocked to see hardly anything there apart from a few pictures. The only news I found was the clip on the BBC Website. That afternoon I woke up and started searching through websites again in the vain attempt to see what was out there. 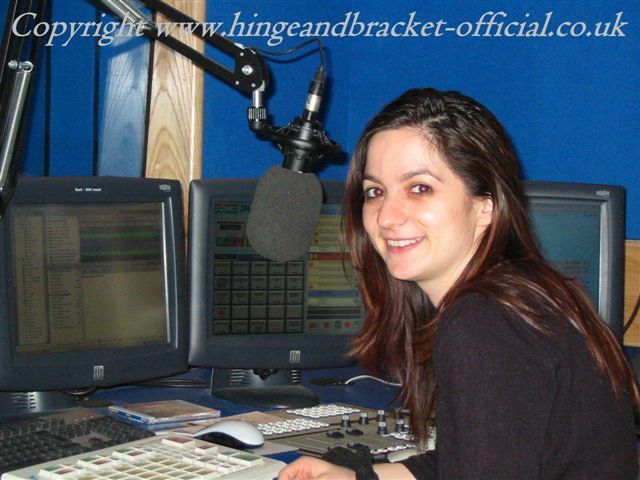 Over the next few weeks I had fans emailing me with Pictures and memories of Hinge & Bracket and decided to open up a Yahoo Group where fans could join in and chat. 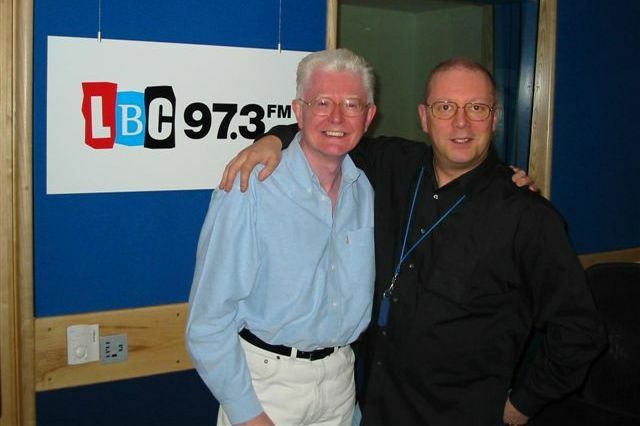 Over the coming months people started sending in CDs and Videos of shows, and another fan; Ged started making available DVDs of 'Dear Ladies' and I started to do the Radio Shows and Vinyl albums so people could again hear how great Hinge & Bracket were. It was with great excitement on a cold December morning in 2003 that my phone rang and I heard a familiar voice on the other end. 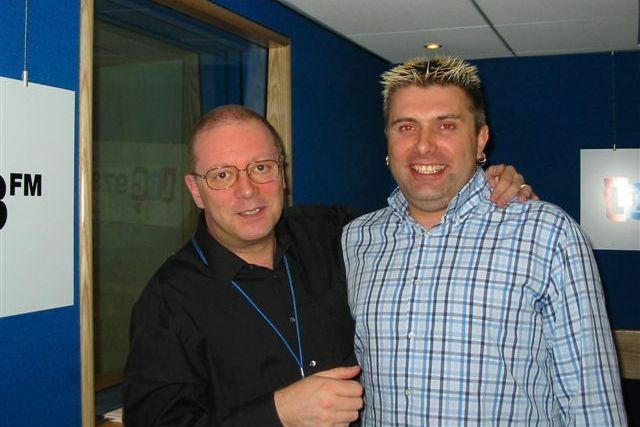 Thanks to David Rumelle, George called to thank me for the website and we had a chat and I got invited to go to see him in Panto in Southend on sea, which I enjoyed on the 10th January 2004. 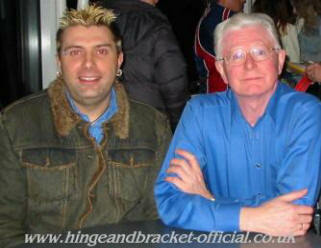 That was the day he signed all of my albums and I asked if he would support the idea of an Official website. 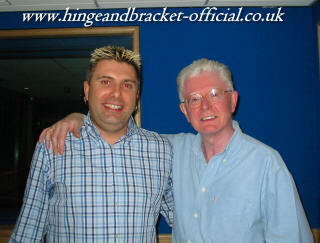 He agreed and www.hingeandbracket-official.co.uk was born a couple of months later. 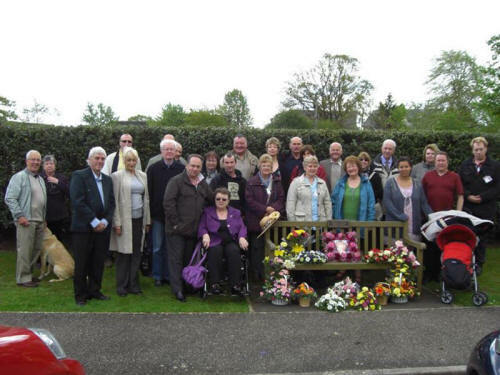 It went live on the 11th May 2004 in memory of Patrick Fyffe who had died 2 years earlier. Since then I petitioned the BBC to release 'Dear Ladies' on DVD and finally they relented and released them in 2007. On the 26th July 2004. 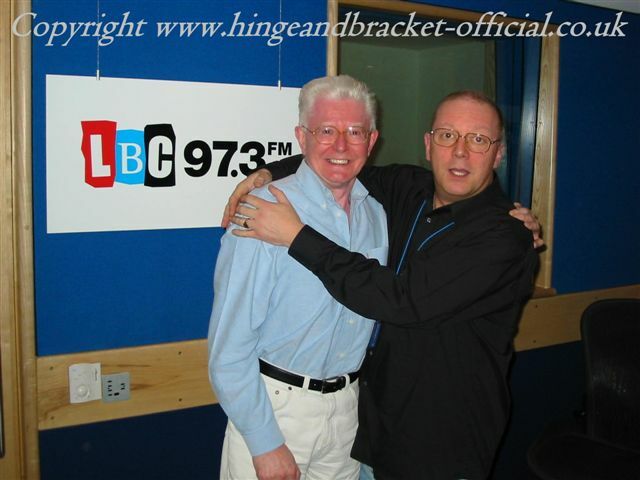 George Logan and myself were invited along to LBC 97.3 to do an interview with Steve Allen on life with Patrick Fyffe and Hinge & Bracket. 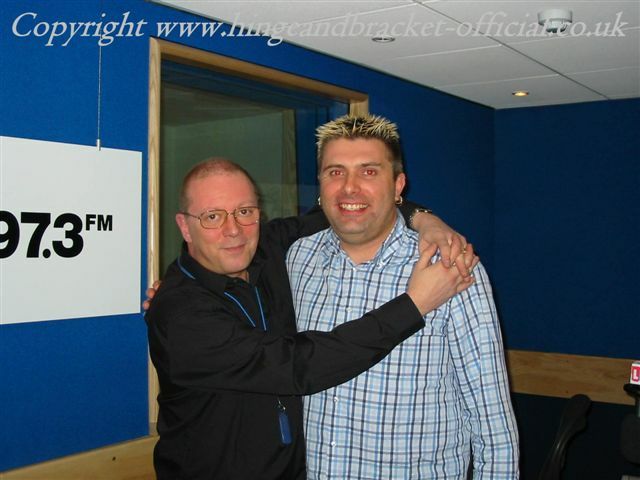 We talked about the Official Website, The Buxton Weekend and our Memories. We also visited Knutsford & Great Budworth and took pictures of the area as it is where "Dear Ladies" was filmed. 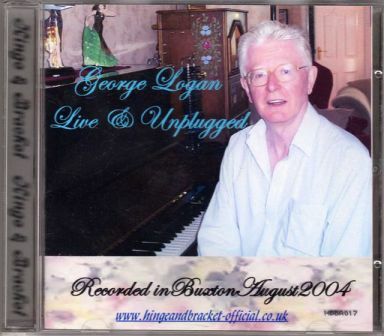 George also played on Stephen Bennett's Piano and a CD is available of his music titled "George Logan - Live & Unplugged" and is available in the CD shop. Thanks to all of the fans that signed the petitions on the website as in March my dream came true... 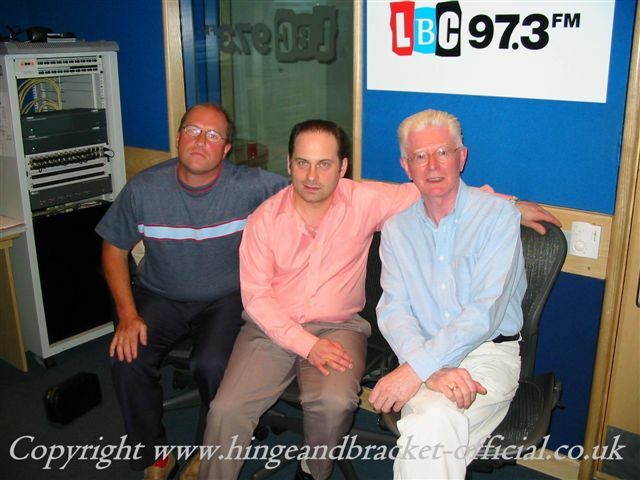 The BBC got in touch to thank me for the support of Hinge & Bracket and told me they are planning to release Dear Ladies on DVD for the first time. (Full details on the Blog) On the 8th October 2007, Series One of "Dear Ladies" was finally released officially by Acorn Media/BBC. There is also the Gala Evenings DVD which came out in February 2008 Series 2 of "Dear Ladies" is now also released, Series 3 followed 6th April 2009. There is also a box set of Series 1-3 and the Gala Evenings out now. 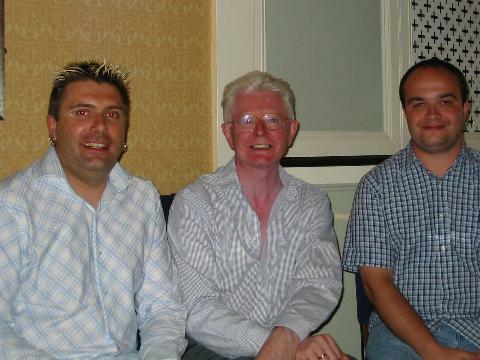 May 11th 2012 marked ten years since Patrick Fyffe had passed away and we organised a wonderful event in which George Logan kindly joined us, as did Christopher Underwood. 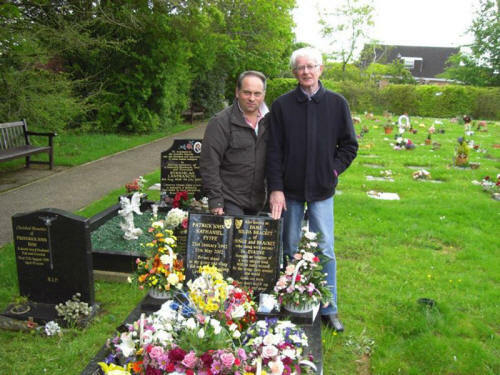 George & Louie joined lots of us in Taunton Deane Crematorium to see Patrick's Grave & Bench on the 10th anniversary of his death. 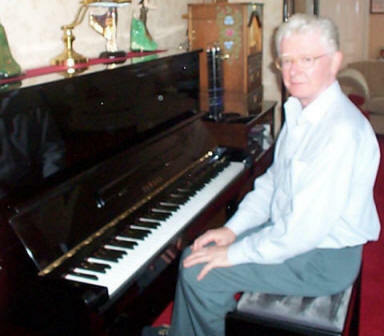 On the evening of May 11th 2012 we celebrated Patrick Fyffe's life with an event of music & memories. May 11th 2013 we held another Evening Do which went very well and I even joined in singing the Cat Duet with Paul Bishop & Mo Coulson. My work to keep the Hinge & Bracket dream alive will be ongoing. 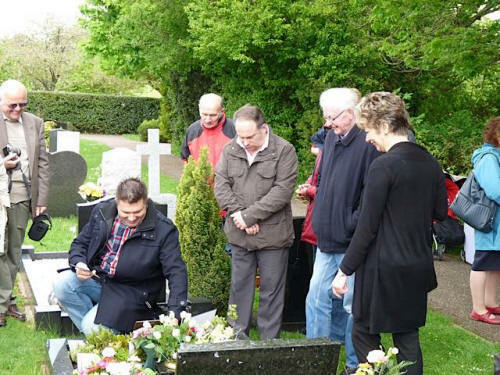 Every year I raise money and we travel to Taunton to pay our respects to Patrick and other fans that can travel down, join in the celebrations. 22nd November 2016 was opening night of "The Dowager's Oyster" in London at the So And So Arts Club. It was my birthday so what better party to go to other than this. We met up with some regular fans and the show was fantastic. George then mingled with us and we went for a drink afterwards.